Really I make chairs for many different purposes but I want to make you something that will be handed down for generations. Chairs for artists, musicians, the office, the bedroom and even chairs for the outdoors. Let's talk about a special chair just for you or choose from one below. Dimensions: A pleasing addition to any bedroom or closet, and yes he will use it. Coat hanger, pant rail, and the perfect height for putting on your shoes. The elegant lumbar curve in the back, Even this utilitarian piece has to be comfortable. 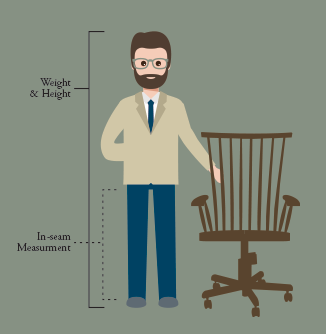 When you call please take note of your height, inseam measurement, and weight. Call me today and order your custom Music chair and stand! 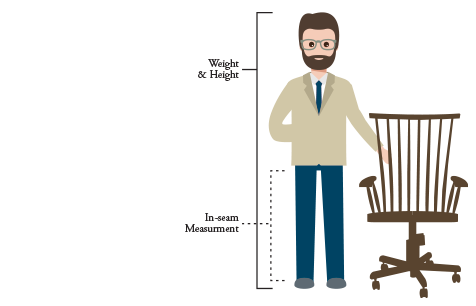 Dimensions: When you call please take note of your height, inseam measurement, and weight. 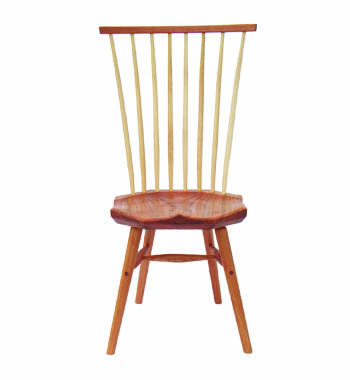 Chair: Designed with a cellist in mind, now equally desired by guitarists, this wonderfully comfortable chair that requires no perching on the edge , has a narrow back for bow movement, and a narrow front for comfort. This seat form does not require sliding to the front of the seat, which allows lumbar support. For musicians, this comfort is unheard of and a necessity. Music Stand: Sculpted bent wood legs approximately one inch wide, rounded outside, beveled inside. 7” Adjustable desk, sitting or standing height available. The desk size is 12x18” Base diameter 22”. The desk has a curved retaining lip 1/2’ high on the outside to zero in the middle for easy page turning. 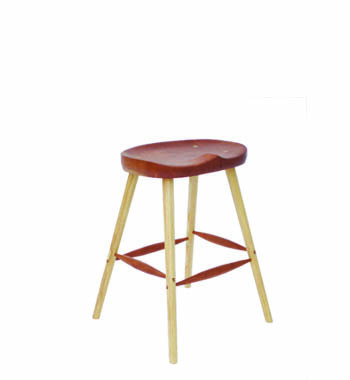 Many wood combinations can be accommodated but the image shows cherry and walnut. 4Guitar Stand: This guitar stand has a beautiful sculptural shape of solid bent wood, with a neck yoke and pegs covered in instrument grade micro-fiber. The stand conforms to standard guitar stand size and angle of rest. 34 high x 20 wide x 15 deep but can be made in many woods and sizes. 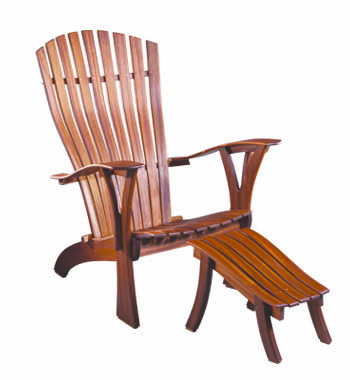 The delicate design compliments the music chair and stand and gives a sturdy place for your guitar. 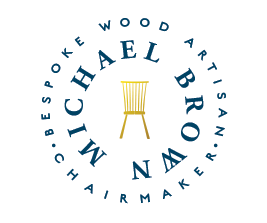 Over the years I have done a number of unique chairs for clients that are not my usual specialties. If you have something in mind that you have not seen please feel free to give me a call .